Spring has finally arrived in London and I am so excited. With the warmer weather, there comes varying trail conditions, rainy pavements, and occasionally the icy morning. 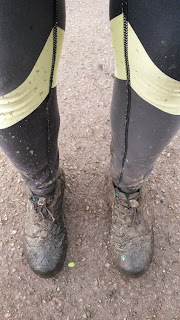 When I ran the Mill Hill Marathon, I wore my trail shoes. Unfortunately, they are not waterproof but I did treat them with a spray when they were fresh out of the box. They offered a bit more grip on the rocky paths, but no shoes would have been a match for the ankle-deep mud puddles. Nice layer of mud on my shoes. Having grown up in a place that gets four proper seasons, I have come to appreciate functional footwear over fashion. (This could also be because London's cobbled streets are too much for my heel collection.) 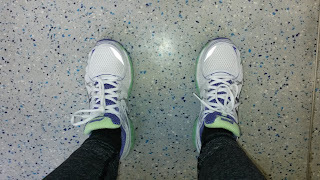 With all the walking I do in between public transport and running errands, I choose comfy shoes and prefer waterproof ones when the weather is poor (which seems to be often in London). 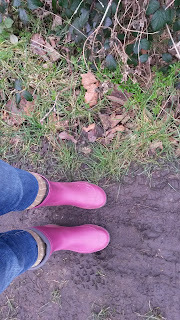 For example, I wear wool-lined wellies when out walking Oldland in the woods. 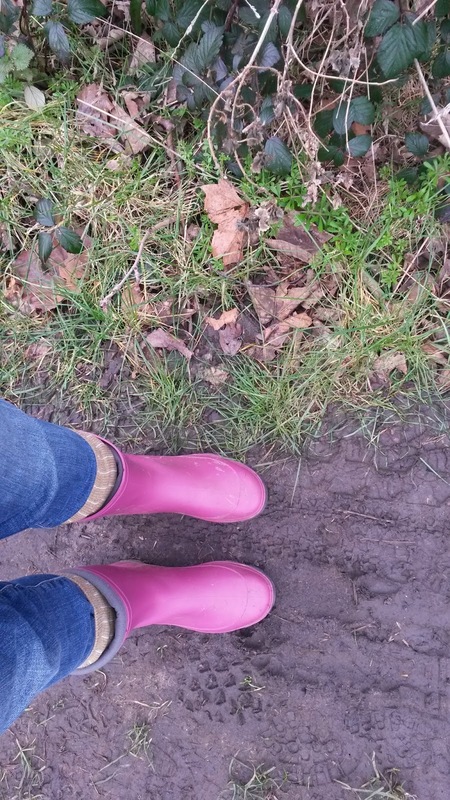 It helps keep my feet warm and my jeans mostly mud-free. These walks are only 30-45 minutes and on flat terrain. If I am out running on the pavement ('sidewalk' for you Americans) on a sunny day, my running shoes cushion my body as the miles add up. 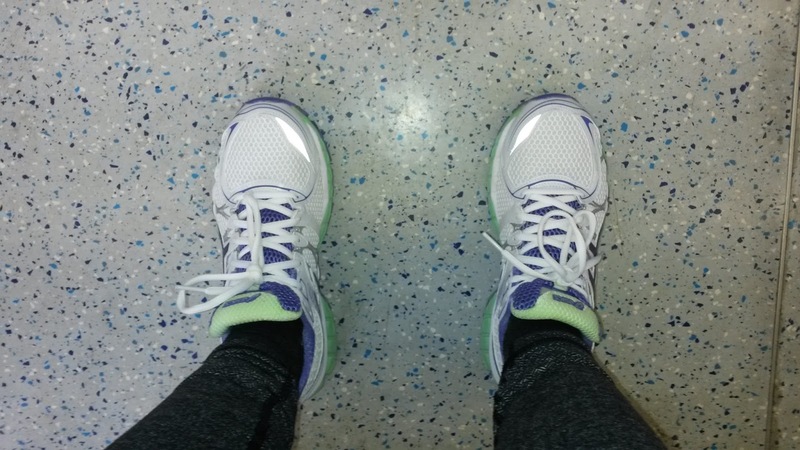 After a run commute, on the Tube. Right now, I am looking for comfy (and stylish) walking sandals for my upcoming trip to Cairo. We will be walking in the city (and I think the desert near the pyramids) for 4 days, which means I need shoes that are cushioned and won't give me blisters. I have some Keens, but they are a bit chunky. My feet are quite narrow, meaning it is hard to find sandals that fit my feet. I have a month before I go though, so I will keep looking around. 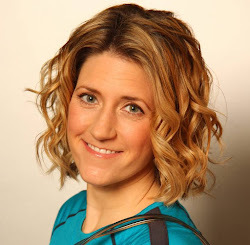 It is really important to choose the right shoes for the activity you are going to do so you can focus on enjoying your time rather than worrying about your feet being blistered or sore. Hi-Tec have made this handy infographic to help you choose a new pair of walking boots. It is time to get out of winter hibernation mode and start being active outside. Get the right kit, and get out there! This post was sponsored by Hi-Tec.